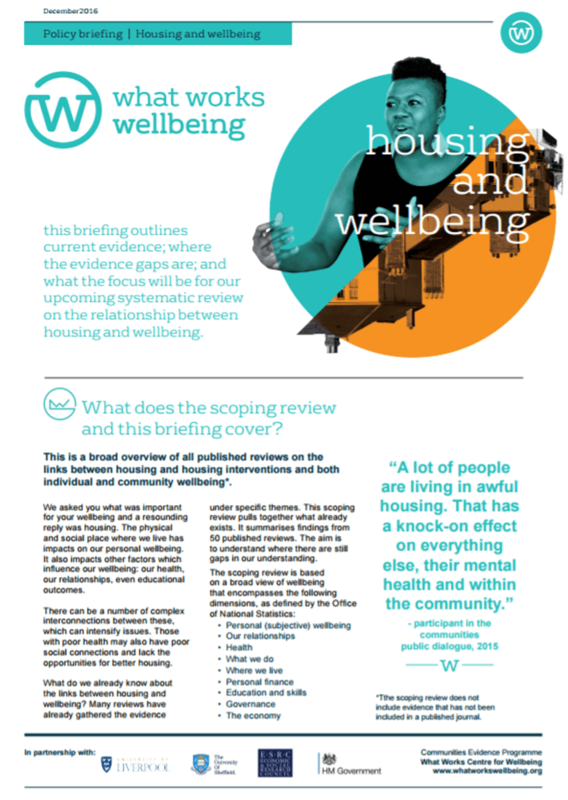 This briefing outlines current evidence; where the evidence gaps are; and what the focus will be for our upcoming systematic review on the relationship between housing and wellbeing. How strong is the evidence in this review? Because many of the studies in this piece of research are low quality, there is a risk that the results are not a true reflection. Others come from the US, which may not be relevant to the UK. Overall, we have low confidence in the majority of evidence in this review. How does the information help us? This scoping review gives an indication of where initial evidence is, and where the gaps in knowledge exist. It also informed our decision to focus on housing for vulnerable groups in our upcoming systematic review later in 2017. 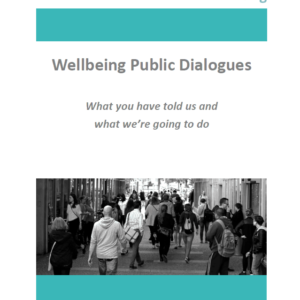 This will be a key piece of evidence for research funders, researchers and those looking to evaluate housing projects and policies. 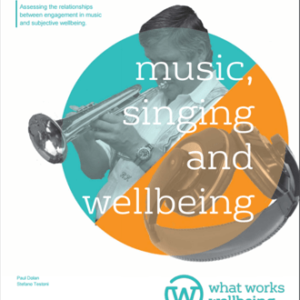 This work was conducted rapidly, and presents the range of evidence in the topic area, rather than answering a specific question about effectiveness alone. This will be the purpose of the full systematic review conducted in the next stage. 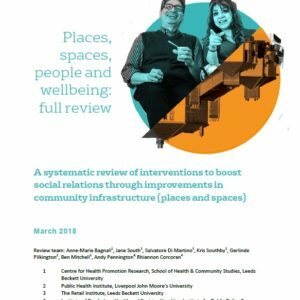 It is also important to note that this report only includes the findings from previously published systematic reviews of the evidence.